This revered and special hall was dedicated by Jose L. Mari Chan in memory of the national Artist Lino Brocka. It is found at the intersection of the building, connecting the theater audience with the library and office goers as well as visitors to the studio and upper floors. 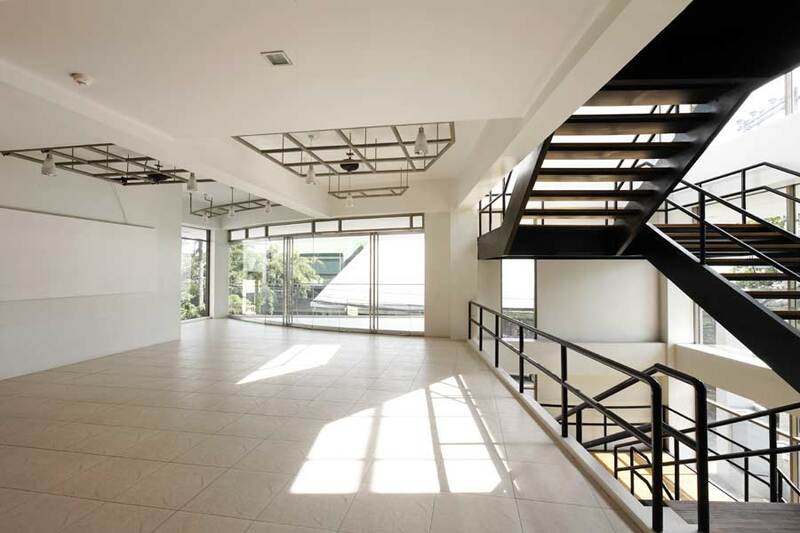 It is an intimate multi-functional space for special gatherings, exhibits, workshops, rehearsals, and performances. It spills out into an exterior balcony overlooking the open street. In many ways, it drew inspiration from Lino Brocka’s life and work, integrating theater and film with compelling realities out there, of people and society.